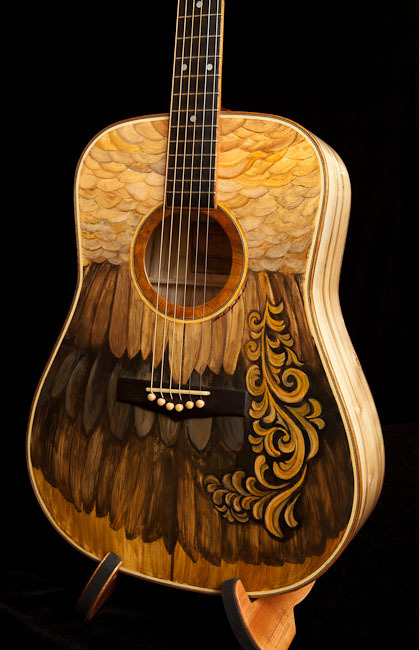 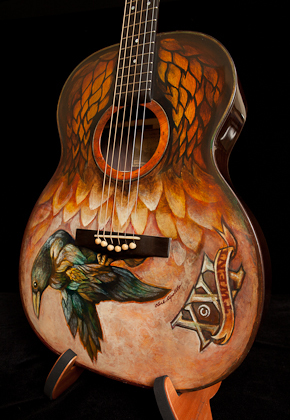 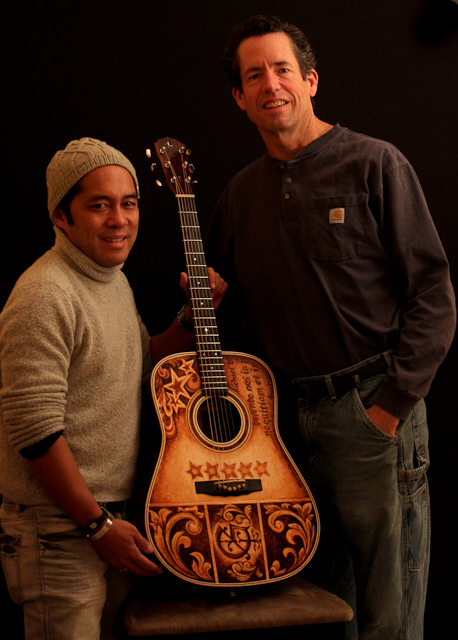 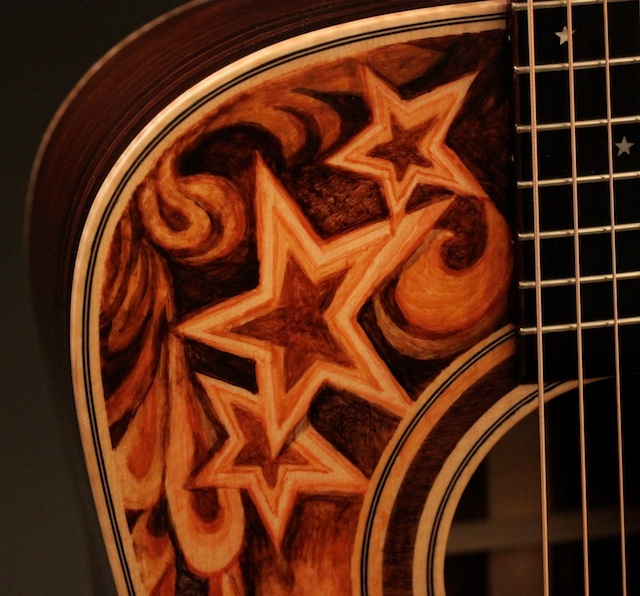 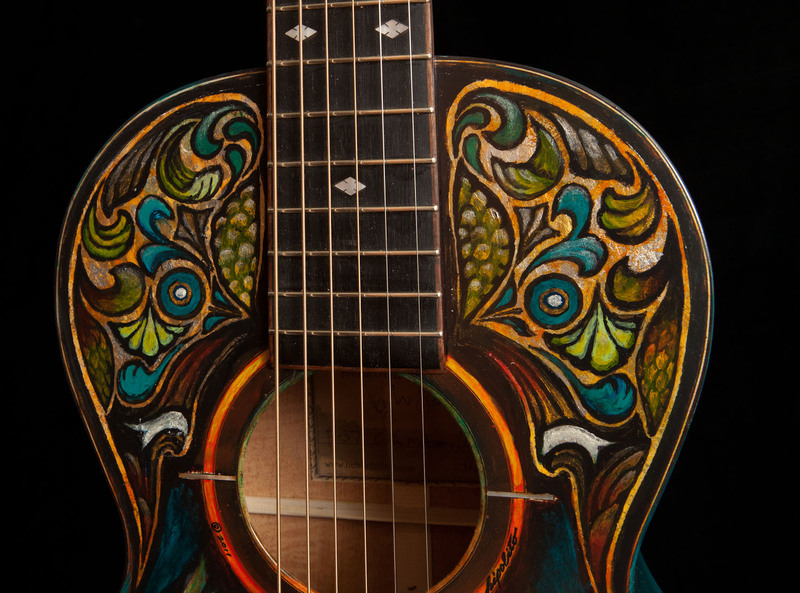 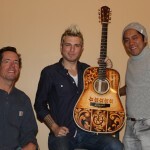 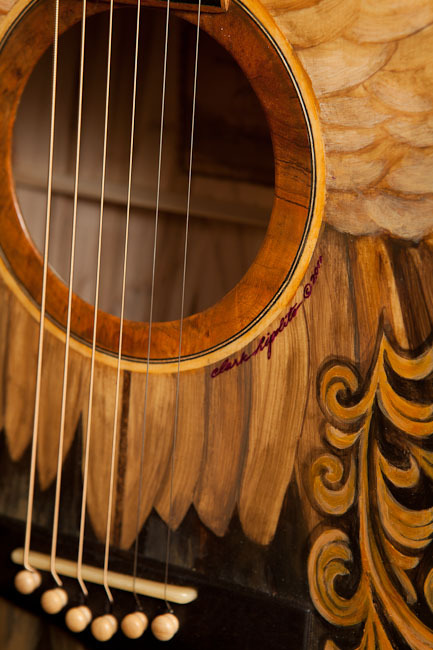 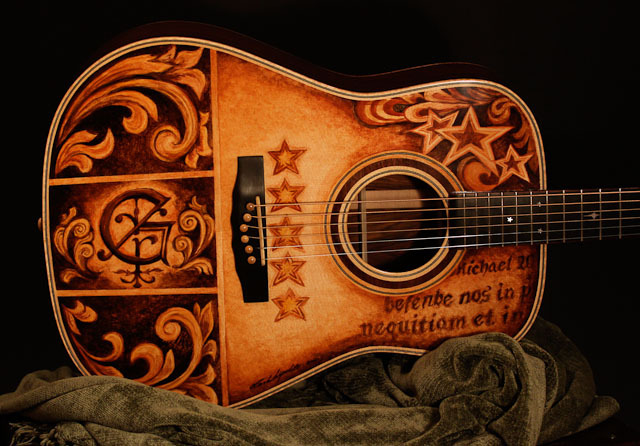 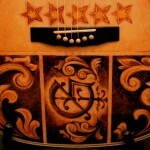 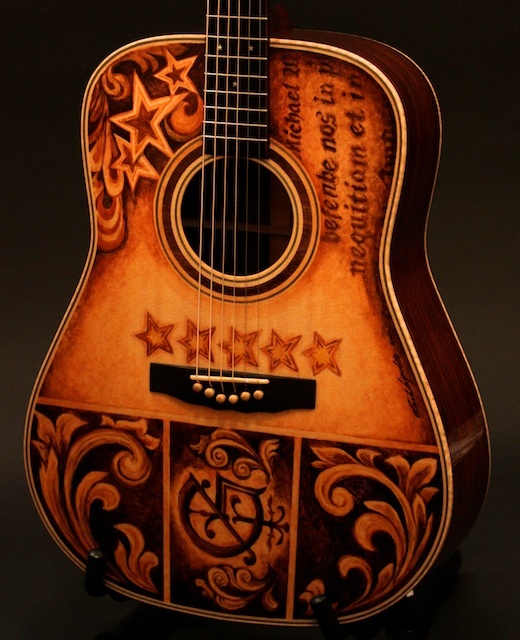 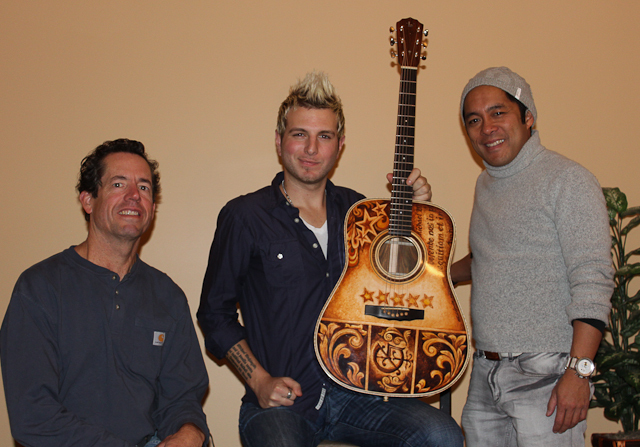 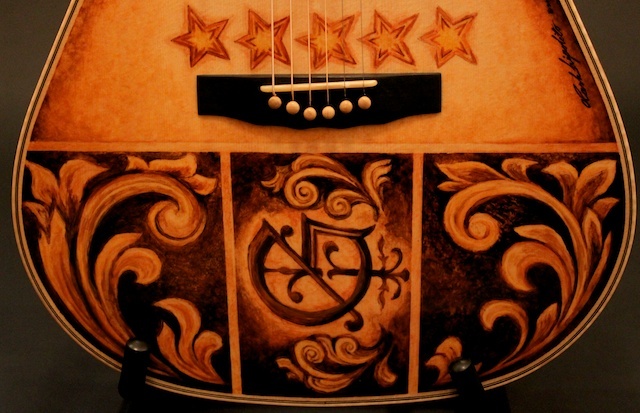 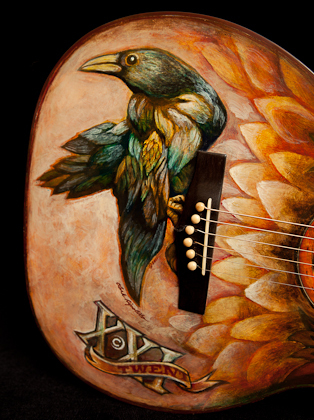 NC luthier Jay Lichty and artist Clark Hipolito recently met and collaborated on Mike Gossin’s (of country music group Gloriana) dream guitar. 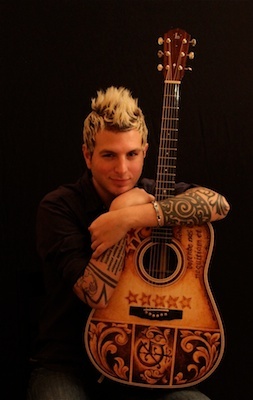 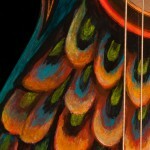 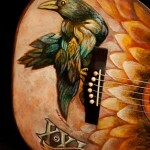 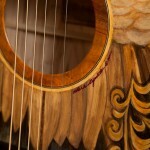 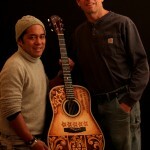 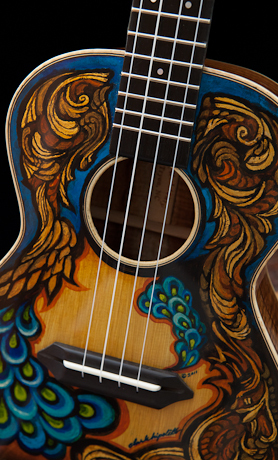 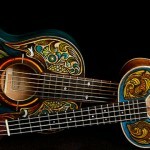 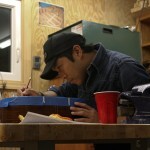 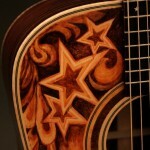 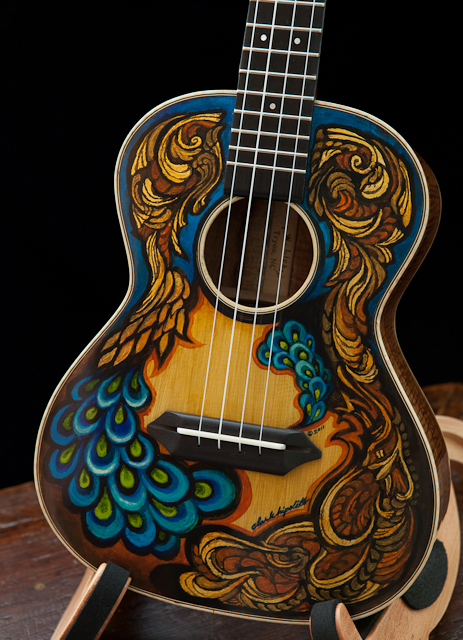 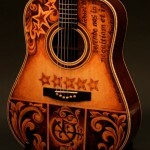 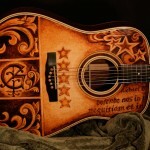 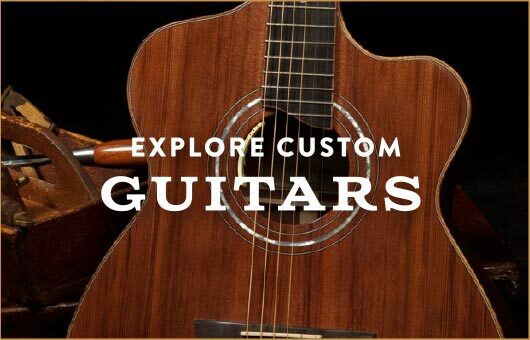 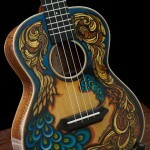 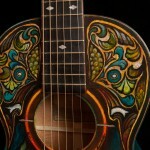 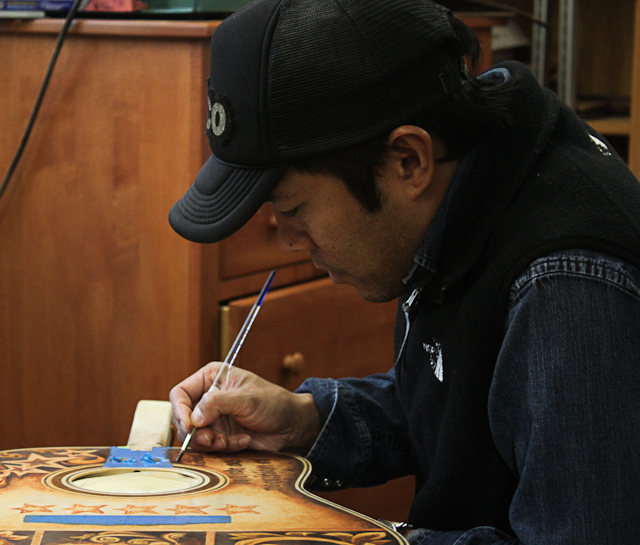 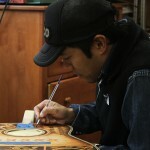 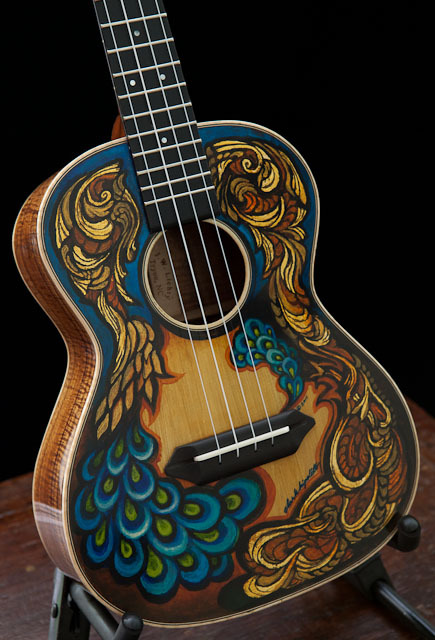 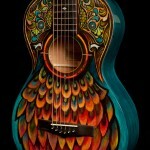 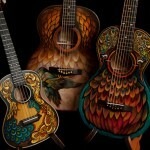 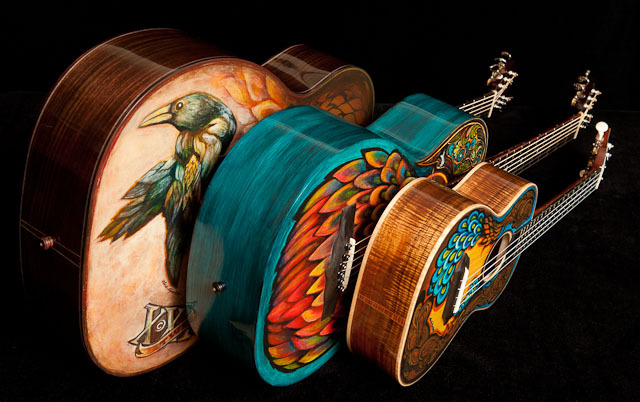 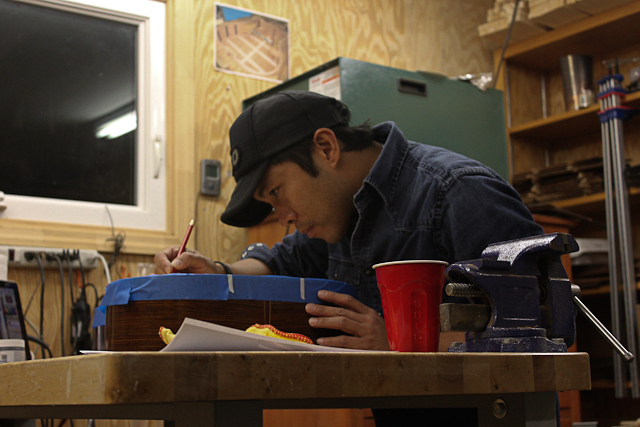 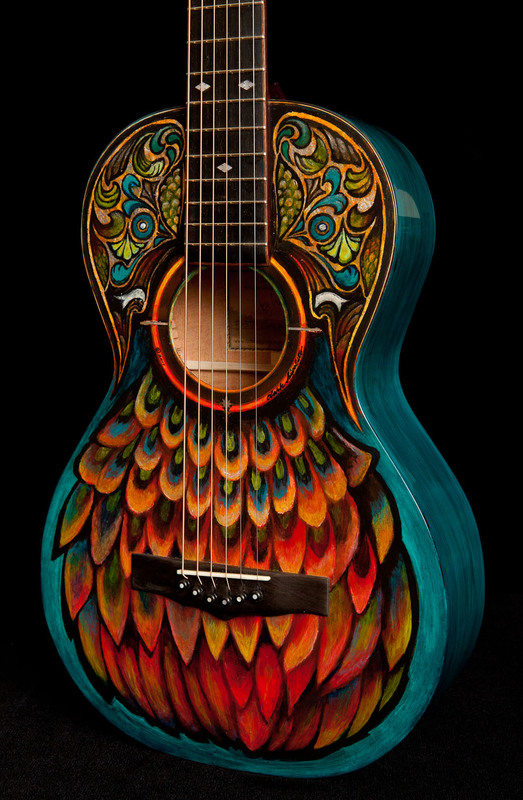 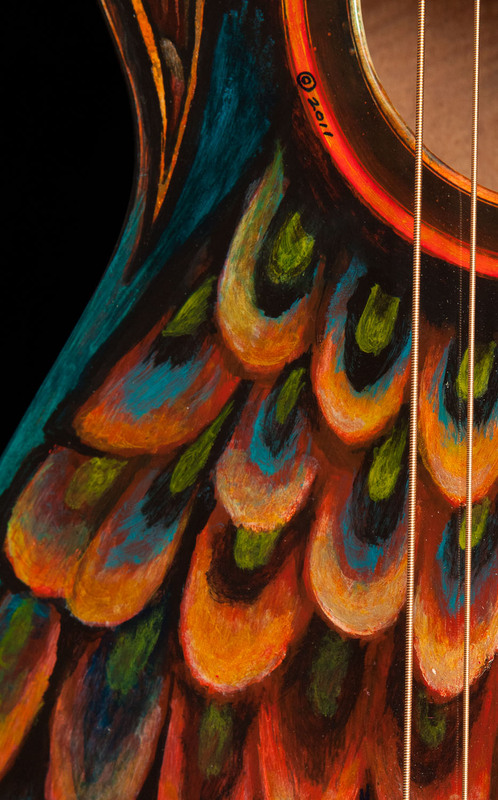 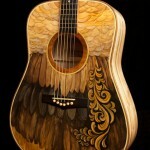 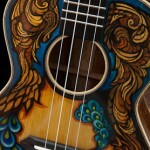 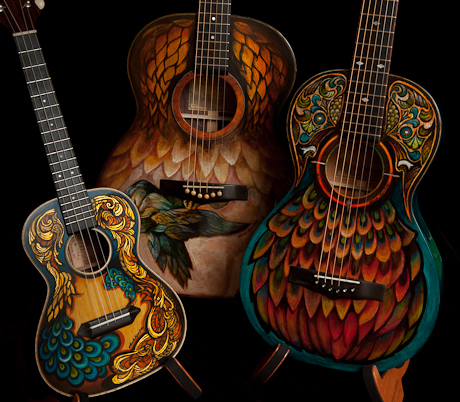 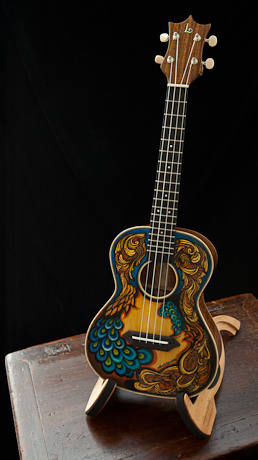 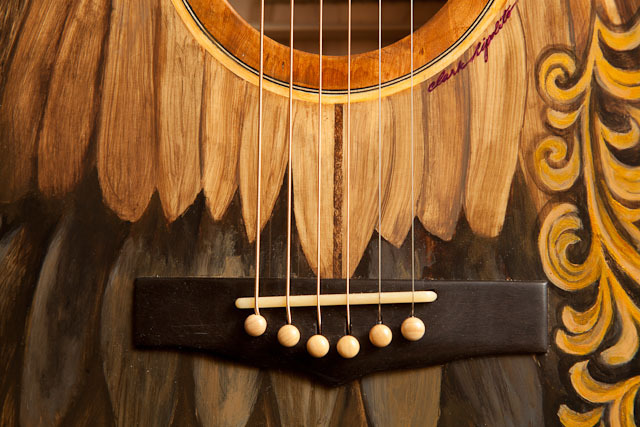 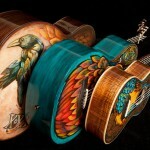 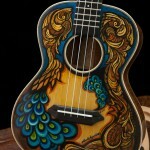 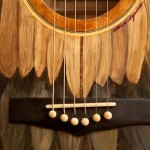 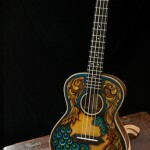 Jay has crafted over 160 custom guitars and ukuleles which have shipped to folks in over 10 countries. 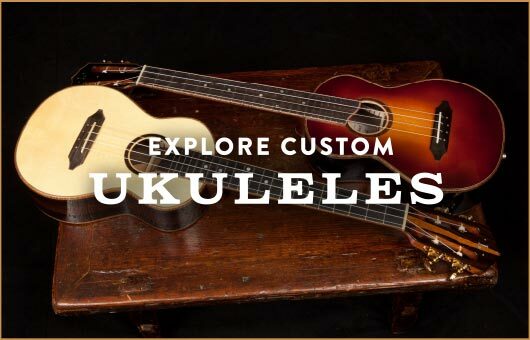 Professional musicians who play custom Lichtys include Randall Bramblett, Bonnie Raitt, Geoff Achison, Kimo Hussey, Noah Guthrie and more. 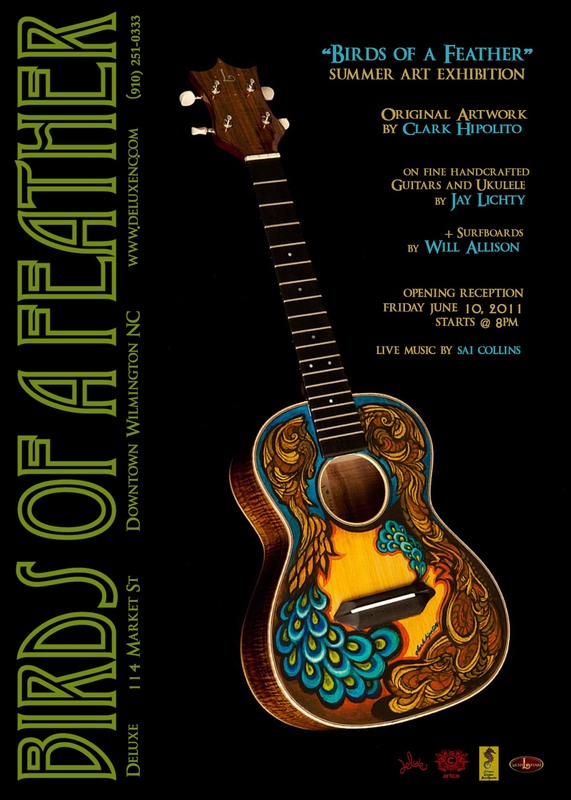 Clark is an incredibly talented artist whose work can be seen all over the map, from large interior design murals to musician Michael Franti’s guitar to beautifully painted surfboards that include one commissioned by Grammy-winning pop star “Pink” (Alecia Moore) and one purchased by Billy Gibbons, the legendary founder and lead guitarist for Rock & Roll Hall of Fame band ZZ Top. 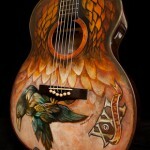 We are now happy to add Lichty Guitars to the list of places that showcase his talents.